This entry was posted on June 15, 2010 by queenbcandles. I have spent a lot of time over-analysing Queen B! The breadth of what I think about is extensive, so I'll spare you most of it. The part I do want to share in this post is my thinking about how we've survived this long, how I would like Queen B to grow and thrive, and one of the things I'm doing about it! Making and selling what would be considered a luxury good during a global financial crisis is tough... particularly when you're operating on narrow margins. I am convinced that one of the reasons we have survived is because our customers are extraordinarily loyal (and probably consider lighting a candle an affordable luxury). I highlight "extraordinarily" because I genuinely believe that what we have is special and unique. With 15 years in the corporate sector prior to launching into Queen B full-time, I've seen companies that make decisions based only on what is best for the company and then wonder why their customers aren't loyal. What I have learned with Queen B is that loyalty can't actually be bought, it must be earned. And perhaps more importantly, it is a two way street. That got me thinking. 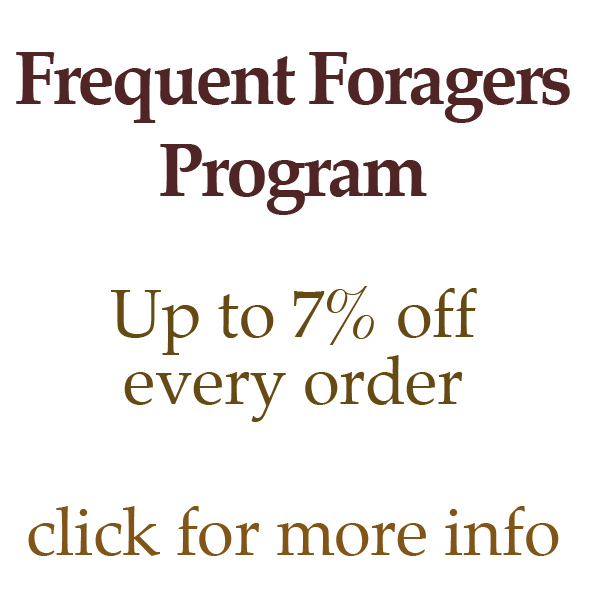 Your Frequent Foragers reward applies IN ADDITION to any other special offer that we may have on at the time. Most importantly the rewards are real. They apply to every item on our website. And whilst it may seem like a lot to spend (and it is a lot to spend), I am sure that if you think through how much you spend on gifts during the year (think: thank you gifts, birthday gifts, feel better gifts, I'm sorry gifts, I think I'm meant to be sorry gifts, I like you a lot gifts, I love you gifts, I appreciate you gifts, cheer up gifts, christmas gifts, congratulations gifts, gifts for new mums etc) you'll probably find that we have something perfect and that you'll be earning rewards in no time at all. The universe has a funny way of playing games... just as I am writing about how big companies just don't understand the REAL meaning of loyalty I've just seen an NRMA ad about their 'loyalty' program. As an NRMA customer, I wasn't feeling it! This entry was posted in Beeswax Candles & Candle Making and tagged rewards, queenb website, queenb, beeswax candles on June 15, 2010 by queenbcandles.